Every year UK based beer bloggers Mark Dredge and Andy Mogg put out the cry for beer bloggers to produce their "Golden Pint Awards". Basically it's a celebration of best beers had during the year by people who know the most about beer, or at least think they do :P.
This is the fifth year I've done this now and it's getting harder rather than easier! Despite promising myself I'd take better notes this year my notes seem to end in March... This is going to be an interesting exercise. This year I've had over 800 beers from 37 countries, with Australian beers making up more than half that number. The United States, New Zealand, Denmark and Belgium round out the top 5 countries. Best Australian Draught Beer - Thirsty Crow Vanilla Milk Stout This beer doesn't get as much love as it deserves. This year I sampled this at the brewery in Wagga Wagga and it was as creamy and delicious as ever, still packed with chocolate and vanilla. If you ever get the opportunity to try this beer in it's natural setting you have to take it! Best Australian Bottled Beer - Boatrocker L.A.B. Standing for Lactic, Acetic and Brett; Boatrocker's L.A.B. 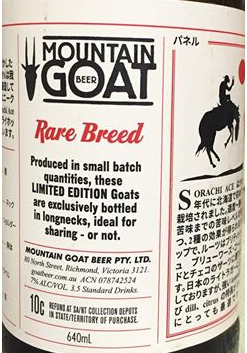 takes out my Golden Pint for best Australian Bottled Beer. I would say this is the best produced Australian sour out there, with wonderful flavour depth for a Flanders Red Ale. I'm very pleased to say that I have a few of these aging in my cupboard for years to come! 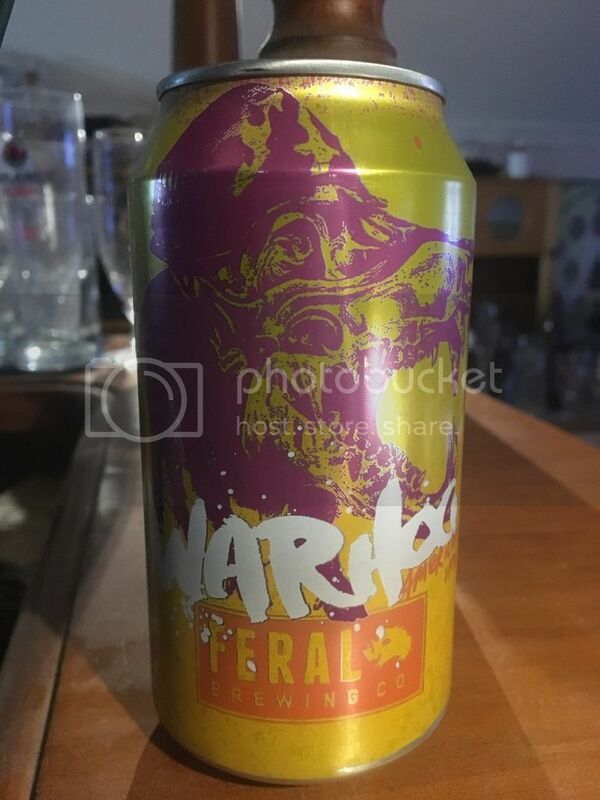 Best Australian Canned Beer - Feral War Hog This year has seen the can well and truly emerge on the Australian craft beer scene, with some breweries choosing it as their only packaged form - something that would've been barely perceivable just 18 months ago. After taking out my Best Australian Bottled Beer last year, Feral's War Hog gets the nod for the Canned Beer this year! It's a phenomenal IPA, which is only going to benefit from the improved lack of light and oxygen exposure that a can offers. It's great to finally have some choice in this award! Best Cask Beer - 3 Ravens Dark Nothing was jumping out at me this year. I reckon I've had maybe 5 beers off the handpump for the year... I'm giving the nod to the 3 Ravens Dark that I quite enjoyed at The Cherry Tree in early-November as we were going through the dark taps (and obviously handpump). It was a nice malty brew with caramel, chocolate and some hints of smokiness coming through. Best Overseas Draught Beer - Almanac Farmer's Reserve Blueberry I have to go all the way back to February for this award. I sampled this wonderful Blueberry sour for the first time at The Local Taphouse during the Almanac launch. It's a wonderful beer mixing intense sourness with a wonderful blueberry fruitiness. Best Overseas Bottled Beer - Omnipollo Noa Pecan Mud Cake Stout (Double BA Version) For me this was the tightest fought category this year. Knee Deep's Hoptologist, Founders KBS, innumerable Almanac's and a late contender from Evil Twin's Even More Jesus all could've had claims to this title. But in the end I had to stump for the incredible stout from Sweden, full of chocolate and vanilla, that's been in both whiskey and cognac barrels. Best Overseas Canned Beer - BrewDog Elvis Juice This was another Golden Pint award with a huge number of contenders. After much deliberation I've settled on Elvis Juice, BrewDog's grapefruit infused IPA. I thought this was quite fitting after the grapefruit IPA craze swept Australia in 2016. This is beautiful beer with plenty of hops complimenting the naturally tart grapefruit that BrewDog have used in this beer. With any luck you'll be reading more about this beer in the coming days. 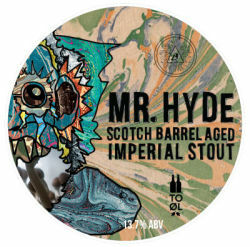 Best Collaboration Beer - Beavertown/To Øl Mr. Hyde This was one of the most expensive beers I bought last year. It was always going to be worth the money considering the two brewers collaborating on both this and Dr. Jekyll. I ended up cracking it on International Stout Day and reviewed it in full, which you can read here. It was phenomenal! Best Overall Beer - Cantillon Fou' Foune My beer highlight of the year was getting to sample Fou' Foune, my all time favourite beer, on tap at Carwyn Cellars. I was slightly apprehensive that it wouldn't live up to my rose-tinted memories of it, but the beer is that good that it did! The apricot is subtle and the beer is tart and spritzy. In my mind it's simply the best beer in the world! As a side note - Lizzie's parents recently went to Brussels and now I'm the proud owner of 3 Fou' Foune's! Best Branding - To Øl I would have had these guys up there anyway, but the To Ølekalender really drummed it home for me. Their branding is eclectic, yet still strangely seems to remain relatively congruent. I've got at least one To Øl beer that I'll be aiming to review in full early next year. 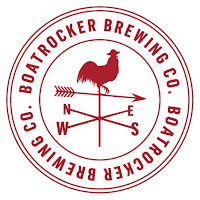 Best Australian Brewery - Boatrocker Boatrocker, in my mind, have clearly matured into Australia's best brewery. Their range of sour and barrel aged beers stacks up against the world's best - as seen in the Carwyn showcase back in Good Beer Week - whilst their core range of approachable beers are more than serviceable. I can't wait to see what new stuff they come out with in 2017! Best Overseas Brewery - Almanac Right from their launch back in February I've been in love with the beers from Almanac! Their sours are wonderful, many with light vinous characteristics from the barrels they're aged in, whilst they are mostly packed with fresh fruit. There are also plenty of clean beers with their IPA a real standout for me! Best New Brewery Opening 2016 - Fixation Brewing Co. 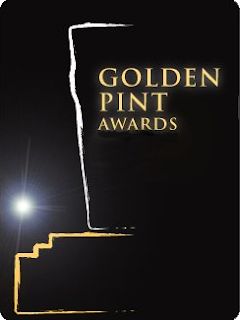 It may have technically been founded right at the end of 2015, but for all intents and purposes I'm awarding Fixation Brewing Co. with the Best New Brewery Golden Pint for 2016. These guys are a subsidiary of Stone & Wood and brew just IPA's. I've had their regular IPA at least 12 times and can safely say it's Australia's best IPA. I'm really interested to see if these guys bring out any new beers in 2017. Pub/Bar of the Year - The Birmingham Hotel I'm going for something slightly less crafty than usual this year... My Golden Pint for Pub of the Year is going to The Birmingham Hotel. One of many Fitzroy pubs I frequent after work, The Birmingham gets the nod not because of their taplist - which isn't bad, but could be better - but for their food! It serves hands down Melbourne's best parma and is absolutely worth a visit if you're in the area! Beer Festival of the Year - Good Beer Week This year I'm awarding Good Beer Week (of which GABS is apart of) with the gong for Beer Festival of the Year. I thought the events really stepped up a notch this year - or maybe that was just my picking of events to attend... In any case; I can't wait to see what the GBW team have in store for us this year! Supermarket of the Year - First Choice First Choice are getting the nod this year due to their increasing care for craft beer. Dan's may have a wider range of foreign big name breweries (ie. Ballast Point), but First Choice aren't far behind stocking beers from Tuatara and Parrot Dog exclusively in Australia now. Independent Retailer of the Year - Slowbeer Taking out the Golden Pint for the second year in a row for Independent Retailer of the Year is Slowbeer. Chris and my palettes have clearly synced up and now I find it very hard to shop elsewhere. The range of sours is as good as anywhere I've come across in the world; while you can also find rare stouts and plenty of hoppy offerings. Online Retailer of the Year - Carwyn Cellars This year I really discovered Carwyn Cellars, as both a bar and a bottleshop. I've been using their online store since the middle of the year to access some of the rarer things they get that sell out quickly - mainly Omnipollo stuff. The speed of their delivery has really impressed me, with beers often arriving the day after ordering. My impression of them has only been enhanced since joining the Beer-Thusiast club, which is wonderfully managed. Best Beer Book - The Best Beer in the World This year I read more beer books than ever before. From classics like American Sour Beers to the Crafty Pint's new book to the fascinating Wood & Beer - I've read a heap. 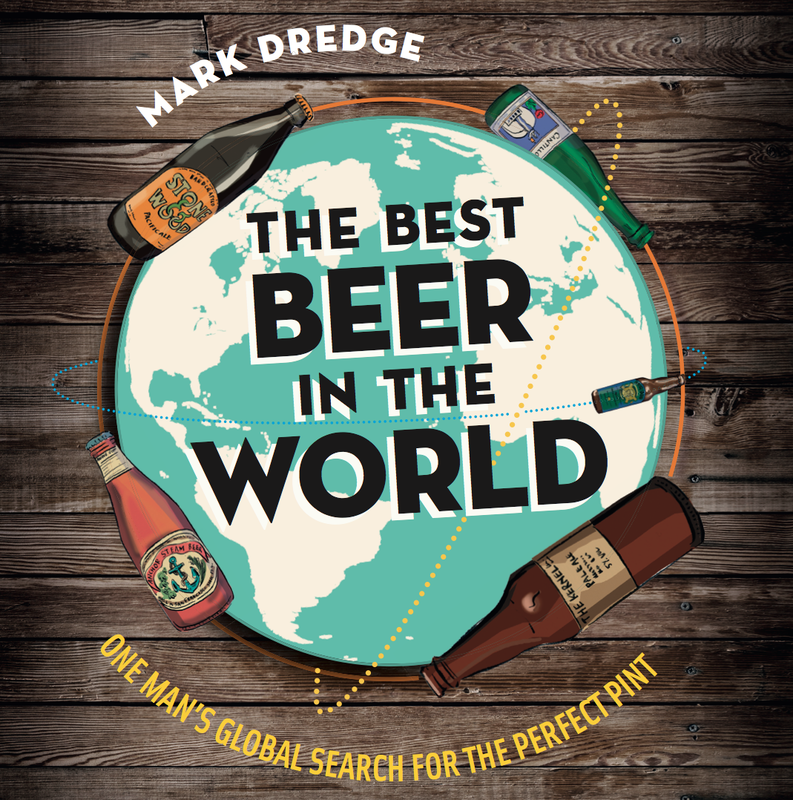 In the end Mark Dredge, my favourite beer author, is getting the Golden Pint - I wonder if he thought some random bloke in Australia would one day award his third book an award when he started this movement way back in the day! 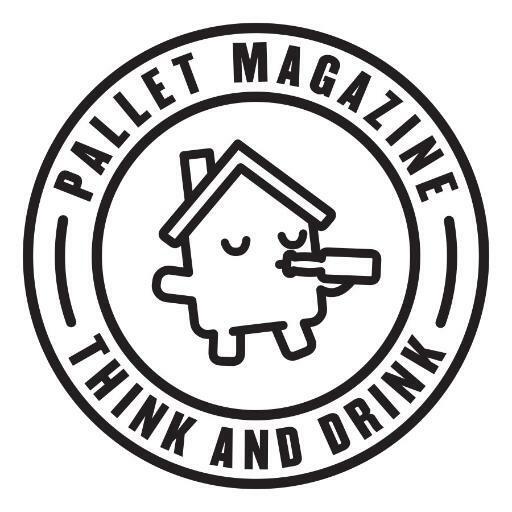 Best Beer Magazine - Pallet Pallet is the most eclectic magazine I've ever read; covering literally everything from Zambian Rock music to bird watching. It's certainly awesome but, once shipping to Australia is factored in, it's pretty expensive. If you've got deep pockets and are interested in a wide variety of topics it's hard to go past! Best Beer Blog or Website - Girl + Beer - Girl + Beer is getting my Golden Pint award for Best Beer Blog mostly for one segment. It may have become a less prominent feature in recent months, but I've always really enjoyed Pia's Weekend Reading. It's a segment that partially inspired my own similar thing - The Thirst. Her cheese and beer pairings also strike a chord with me - her latest one involved one of my favourite cheeses; Reypenaer VSOP. This is a few days late, but I'm glad I've finally got it up. Just like every year this has been a hard but rewarding process. Thanks for reading throughout 2016 and I hope you'll join me again for more beer adventures in 2017. 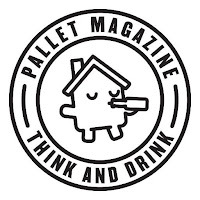 I've got a few post for you to look out for over the coming week or so; first there will be the November Beer-thusiast pack (hopefully followed by December not that long after), a massive December Untappd Catchup, the long awaited glassware post, many Hottest 100 posts. another installment of The Thirst and finally a huge expose on Porters & Stouts. Stay tuned guys - 2017 is going to be the biggest yet on Beer O'Clock Australia!